Oh, how I love a good apron! For me, putting on an apron helps me to switch gears and my mind says, hello kitchen - I'm ready to cook! It just puts me in a happy and creative mood. I'm rarely cooking in the kitchen without one. In my opinion, a girl can never have too many aprons. I have a few and am always on the look-out for a new apron to add to my collection. 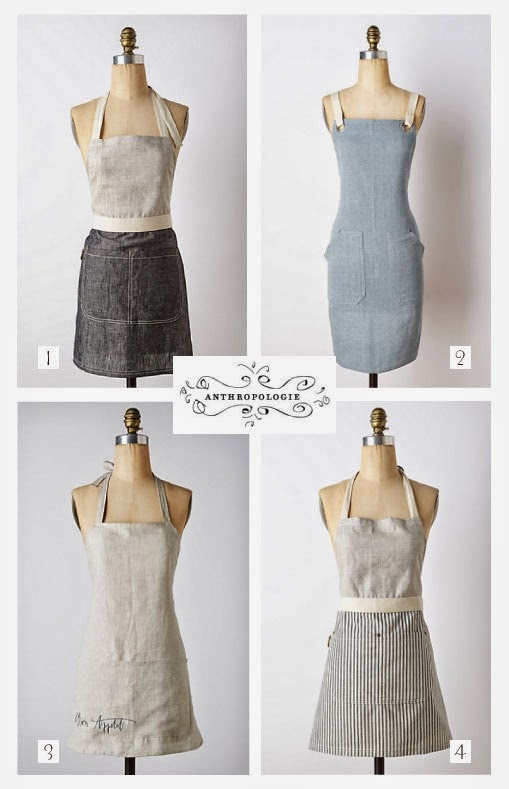 I'm loving these aprons from Anthropologie and am adding them to my wish list ... feminine, yet utilitarian. And functionality is a big deal for me - they've gotta work! 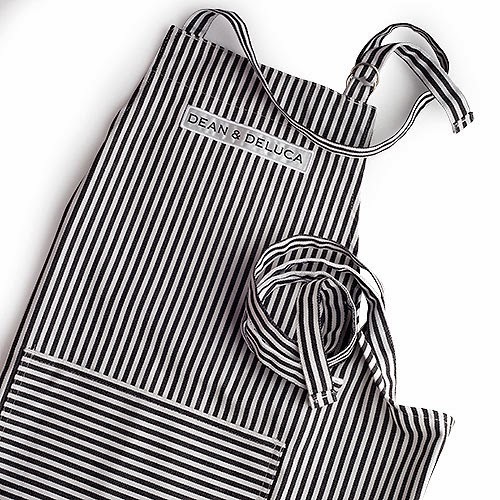 Right now, my favorite apron in my collection is this Dean & Deluca Black Everyday Kitchen Apron that my husband bought for me.